Book your accommodation for ASI 2016 early! A limited number of rooms are available at Glendenning Hall, on the Holland College campus – rooms are comfortable and affordable, and ideally located within close walking distance of the city centre, walking trails, the waterfront, and a variety of restaurants and attractions. The accommodation at Glendenning Hall includes breakfast, high speed internet, Cable TV, fully-equipped kitchen and free parking. or call 1-866-740-7702 to book your room. 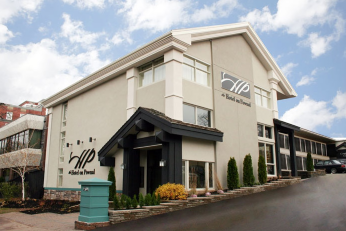 The Hotel on Pownal in downtown Charlottetown has a fresh, urban style, and is within walking distance to shopping, dining, and the beautiful Charlottetown waterfront and boardwalk. The hotel offers deluxe continental breakfast, free parking and WIFI. Reservations are first-come first-served and should be made no later than July 15, 2016. Request the Atlantic Summer Institute rate. Cancellation Policy: 72 hours prior to arrival to avoid 1 night charge and taxes. 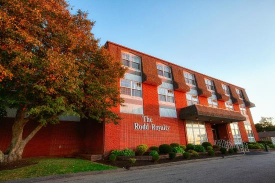 The Rodd Charlottetown is steps from City Hall, Confederation Court Mall, and St. Peter’s Anglican Cathedral. The Confederation Centre of the Arts and The Guild are also within a 5 minute walk. The hotel features a restaurant, an indoor pool, a fitness center, a sauna, and free self parking. All rooms have refrigerators and coffee makers, plus free WiFi and flat-screen cable TVs. 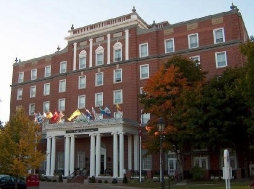 Rodd Hotels and Resorts are offering a special rate at the Rodd Charlottetown for ASI: Standard Room at $189 per room, per night, plus taxes. Rates are based on availability at time of booking. Book online at the Rodd Charlottetown using booking code ASI16. Rodd Hotels and Resorts are offering a special rate at the Rodd Royalty for ASI: Standard Hotel Room at $169 per room, per night, plus taxes. Rates are based on availability at time of booking. Book online at the Rodd Royalty using booking code ASI16.